It’s funny to think that something I started as a hobby to record the things we do as a family, the day-to-day struggles of managing children whilst working and attempting to have a life has, well, changed my life. Blogging as become a way of life for me, an outlet for my endless ramblings, a place I can share and also a source of income. When I first started blogging I, like many others, tried to Google everything we needed to know, nowadays there are an array of Facebook groups that can help steer you to the answers you are searching for as well as being a sounding board for when things don’t go quite to plan. Alongside fabulous blog design and content that goes viral, there is something that us bloggers envy and that is stunning photographs. One of the most frequently asked questions in blogger forums is about which camera does everyone use. From compact cameras, bridge cameras to a DSLR everyone will have an opinion about which is best. Personally, I have a DSLR which I saved long and hard for a few years ago, however, I’d love to upgrade to something with a flip out viewfinder so that I can take photos at different angles more easily. The British weather is unpredictable at the best of times and any blogger will tell you that it’s worse on the days that they need to get some photos taken. I’d love to beat the cloudy days, dull winter days and dark evenings with a lighting studio, I’m not in the position to have a dedicated space set aside for completing my blog photography so I like the idea that I can set up these lights and brighten up any room enough to be able to get that all important photo. A good blogger has a host of blog props that they use for including within their photos. Whether it be that one plate, bowl and table mat that they use to photograph their fabulous food. Or maybe the blanket that they take shots of their beauty products on to make them stand out. Whatever it is that they have there is also something else that they are looking to add to their supply box. 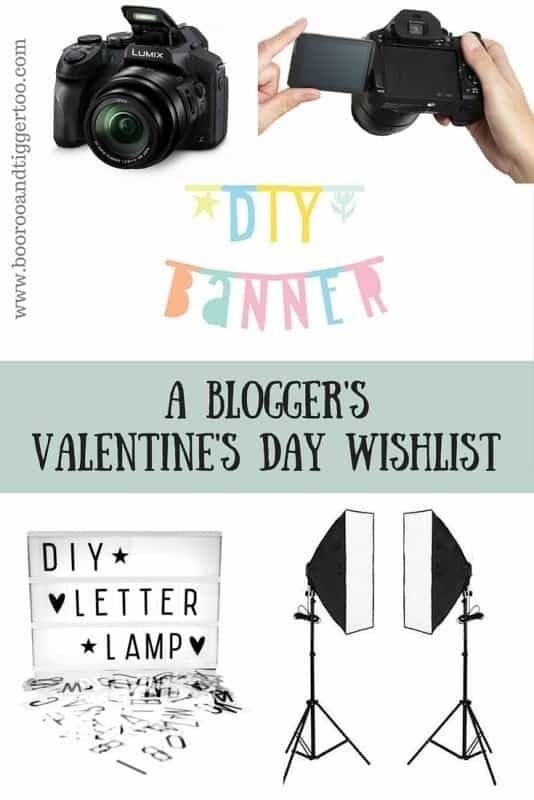 Personally, I am hankering after a lightbox which would add those few words to a photo to make it pop or maybe a DIY garland that I can add to the wall behind my subject to liven up my otherwise boring magnolia walls. Did you read my mind? i’d love all these too! That would be my next step but I am not sure how I would go with photo taking! It is funny how our life changes with blogging. It would have been wine and chocolates but now I think there’s nothing wrong in asking for a camera! Great photography is defiantly needed for any website – I think a camera is the perfect gift – DSLR too! Great photography is defiantly needed for any website – I think a camera is the perfect gift – DSLR too! I wonder if I can convince my husband!